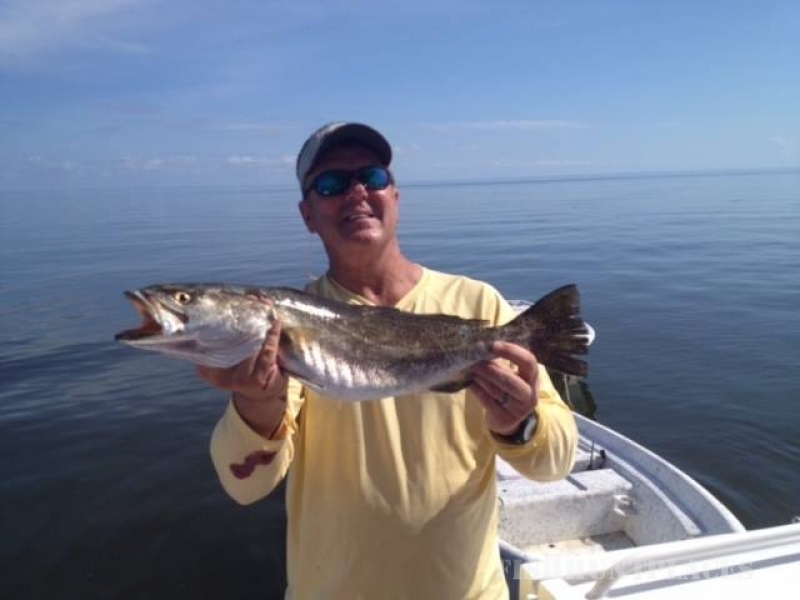 Since 2001, Southern Way Charters has been offering the best outdoor experiences in the Gulf South. Starting as a Chandeleur Islands charter operation, we now offer a wide range of outdoor adventures including light tackle fishing charters inshore and near shore fishing trips, offshore fishing, fly fishing trips and waterfowl hunting. From our home port in Pass Christian, Mississippi we have expanded to Venice and Shell Beach, Louisiana and to our remote dock location in the world famous Louisiana Biloxi Marsh offering luxurious accommodations, cuisine and Southern hospitality in all these locations. Our Pass Christian location, in the recently built and modern Pass Christian Harbor, is the home port of the 72’ Southern Magnolia and 54’ Southern Cross. The Southern Magnolia takes our clients to the Chandeleur Islands, a group of barrier islands off Mississippi/ Louisiana coast. 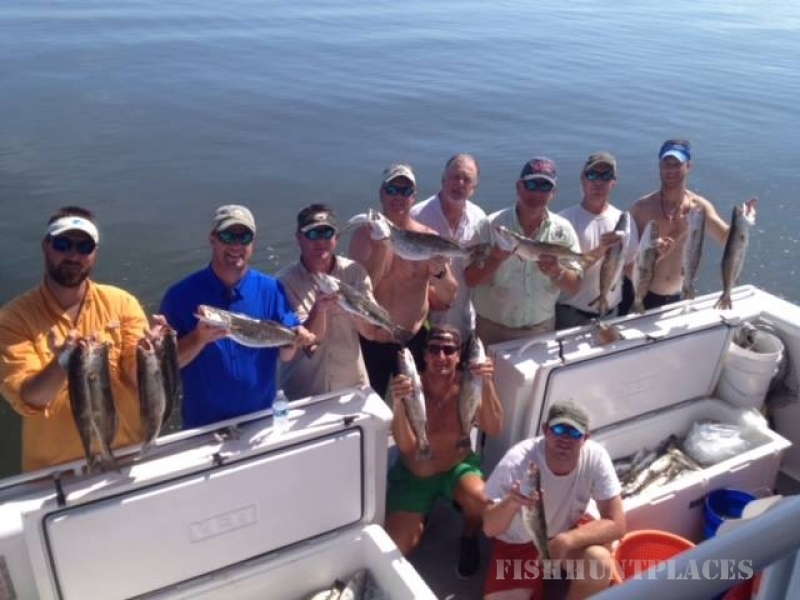 The “Islands” provide some of the best light tackle fishing and fly fishing options for redfish and speckled trout (tarpon frequent the area also in July and August). Our vessels serve as motherships, providing comfortable quarters, delicious southern style meals and experienced captains and crews to provide for a safe and successful adventure. The Southern Cross also spends time in Venice, LA running two night guided fishing trips to Breton Island. 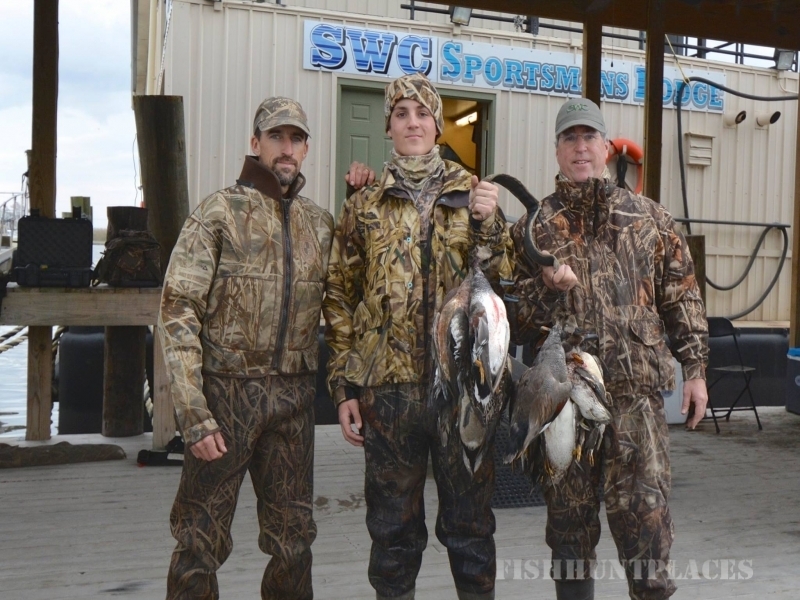 In 2014, we added the SWC Sportsmans Lodge (formerly known as the Venice Sportsmans Lodge) to our fleet. The SWC Sportsmans Lodge is a 110 foot luxury barge with over 5,000 square feet of accommodations. The SWC Sportsmans Lodge is located in Venice, Louisiana. We run the most productive Venice fishing charters around! Venice is a world class fishing mecca offering the best in offshore fishing trip opportunities. 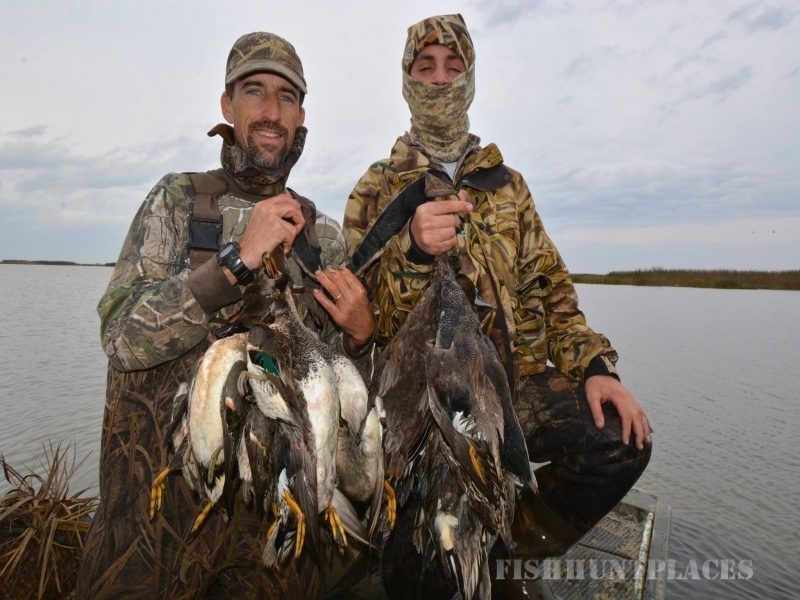 We also provide Venice light tackle and fly inshore fishing and Venice near shore charter fishing opportunities as well as duck hunting opportunities. All of this is delivered with a level of comfort and luxury usually found only in luxury hotels. In 2015, we added the Dogwood Lodge in Hopedale, LA. on the edge of the Biloxi Marsh. 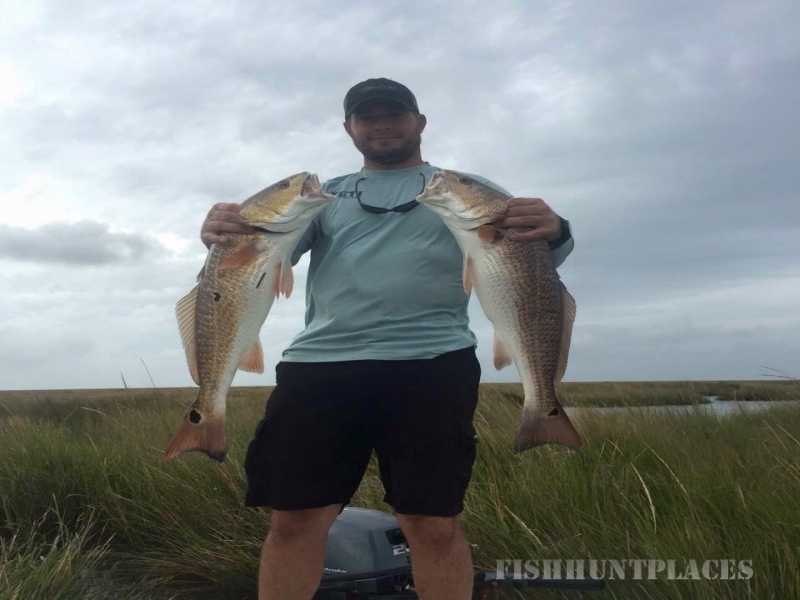 This area is reknowned for its light tackle and fly inshore fishing for trophy redfish as well as duck hunting opportunities. 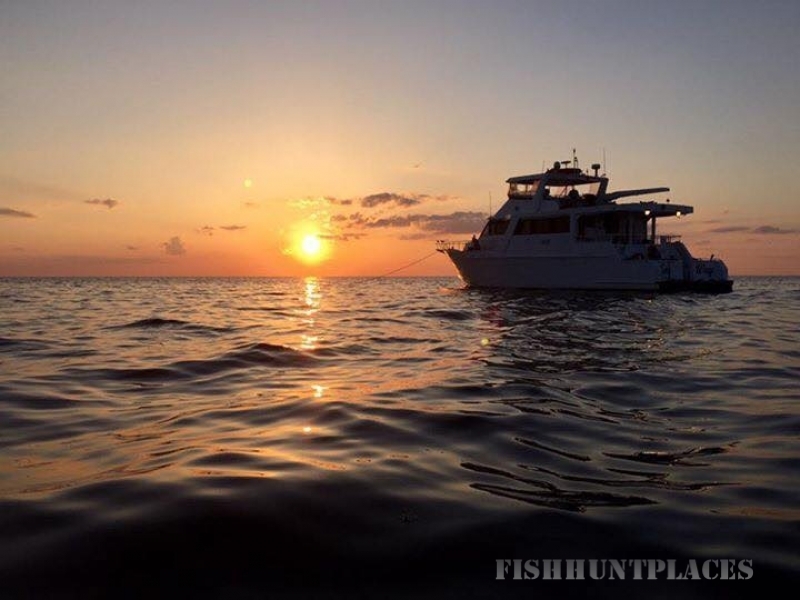 Our Chandeleur Islands fishing service will take you out Blackfin Tuna Fishing, Yellowfin Tuna Fishing, Wahoo Fishing, Snapper Fishing, Amberjack Fishing, Mahi Mahi Fishing, Marlin Fishing, Grouper Fishing, Cobia Fishing, Red Fishing, Speckled Trout Fishing, Flounder Fishing. We also offer Chandeleur Islands Fly Fishing trips, Shark Fishing, Chandeleur Islands Bow Fishing, and Venice Kayak Fishing trips. Please contact us if you’re interested in going on a Biloxi Marsh fly fishing or conventional fishing trip, Hopedale fishing charter, Shell Beach guided fishing, Delacroix fishing as well as Duck Hunting, Waterfowl Hunting and Cast & Blast Trips.